Heat oven to 350°F. In large bowl, beat cream cheese and sugar with hand-held electric mixer on medium speed until smooth. Add yogurt; beat until smooth. Add eggs one at a time, beating until well incorporated. Finely crush 2 of the Oreo™ cookies; stir into cream cheese mixture. 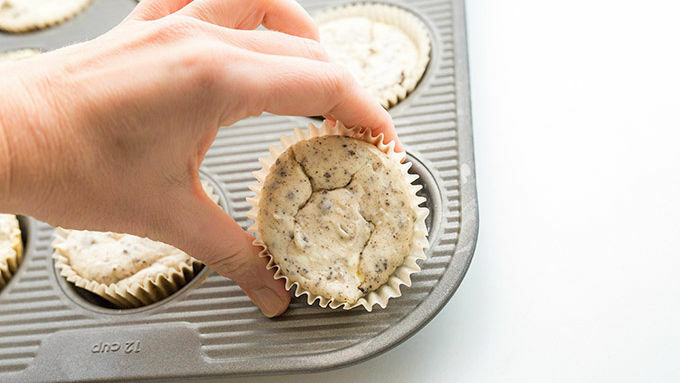 Place paper baking cup in each of 12 regular-size muffin cups. 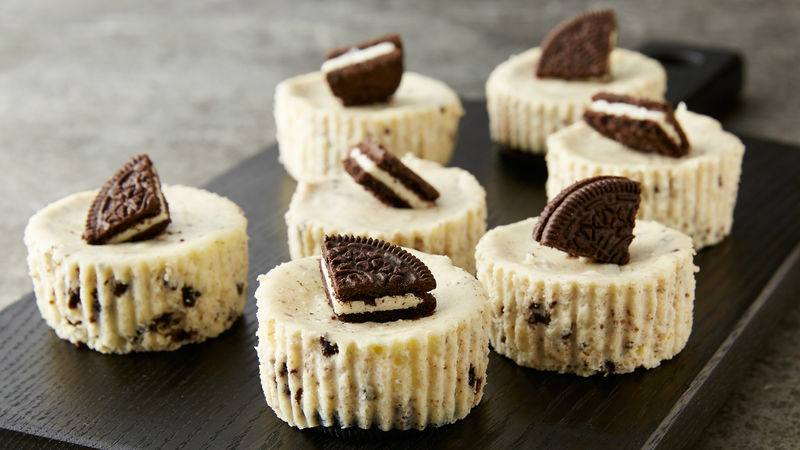 Place Oreo™ cookie in bottom of each baking cup; top each with a scoop of the cream cheese mixture, dividing mixture evenly among cups (cups will be full). Bake 20 to 25 minutes or until centers are set. Cool completely in pan, about 1 hour. Refrigerate 2 hours before serving. Be sure to mix the cheesecake filling ingredients in stages as instructed above. If you mix all of the ingredients together at once, the batter will be lumpy. 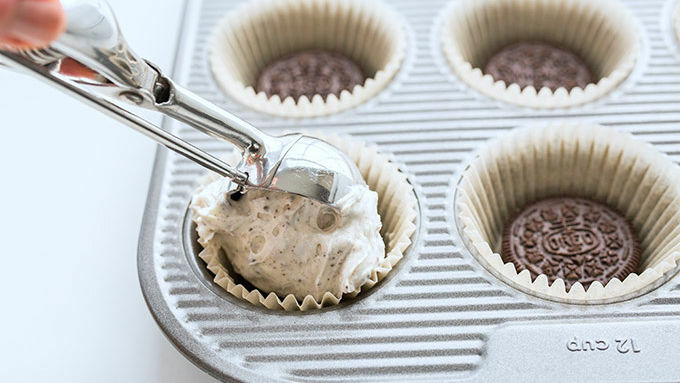 This brilliant cookies-and-cream dessert is part cupcake, part cookie and part cheesecake. Made in a muffin tin, these cheesecake bites can be made ahead of time and stored in the fridge until the party starts. We used regular Oreo™ cookies in the recipe, but you can experiment with Double Stuf™ Oreos or even Birthday Cake Oreos to make it your own. Get your cheesecake fix with more creamy, cool desserts here.